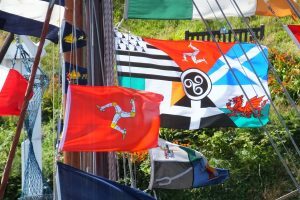 Home › History › All the Fun’s in Peel this Weekend………………………! 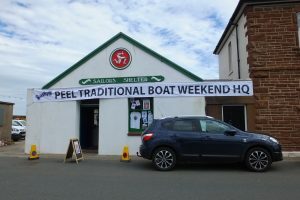 All roads lead to Peel during the first weekend o f August, when the popular fishing port comes alive to the sights and sounds of the town’s annual carnival and welcomes a number of vessels to the long standing Traditional Boat Weekend. 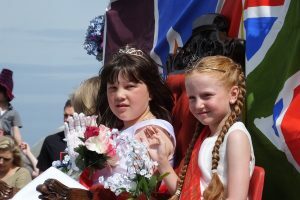 Now in its sixty fifth year, Peel Carnival (Sunday 6th August) is recognised as the oldest, continuous carnival on the Island, and organisers invite people of all ages to head west for the festivities, or participate in the parade. Billed as a great day’s entertainment for all the family, there’ll be plenty of sideshow attractions, stalls and spontaneity to enjoy throughout the day – with some popular favourites returning to the Island especially for the event and a selection of new entertainers to whet the appetites of visitors and locals alike. And there’s a sandcastle competition for those talented creative youngsters. The highlight, of course, is the Grand Parade, beginning outside the House of Manannan at 2.00pm, wending its way along East Quay, Weatherglass Corner (aka Spit Corner) and Shore Road before terminating at the Creg Malin car park, where there’ll be an opportunity to sample refreshments and enjoy the Mardi Gra atmosphere. Carnival programmes will be available throughout the town, and if you’ve got time, why not take part in any of the nine categories of the parade – with more than £1,000 of prize money up for grabs! 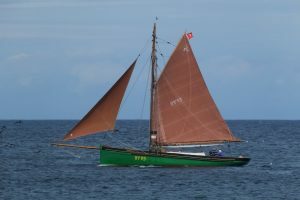 Meanwhile, boats will start arriving for the annual Peel Traditional Boat Weekend on the 4th of August, giving visitors an opportunity to see them berthed around the quayside, or out in the bay for the delightful Parades of Sail. You can also place your vote for the ‘best boat’ to win the Henry Kelly Trophy at the Sailors’ Shelter on East Quay, where you’ll also find a selection of special merchandise on sale. Look out too for the St German’s Handbell Ringers on both days and a Vintage Car Rally next to the Transport Museum on Sunday. 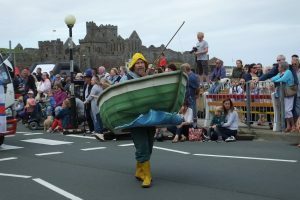 One of the highlights of the Peel Traditional Boat Weekend is Saturday’s Quick and Dirty Boat Building competition, culminating in a race across the harbour at 2.30pm. Further details about both events available on their Facebook pages.